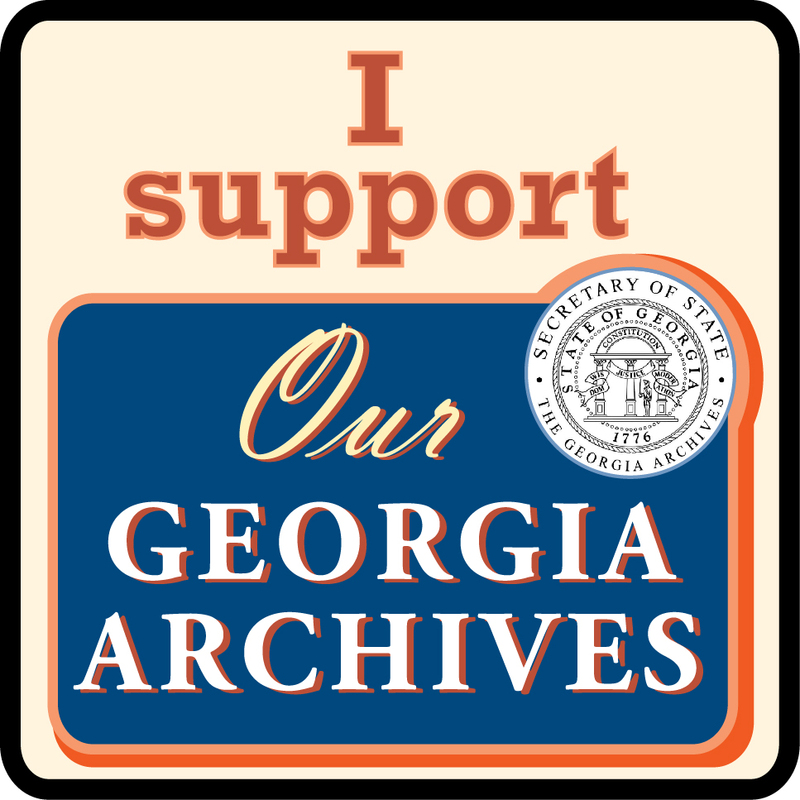 October is Georgia Archives Month! 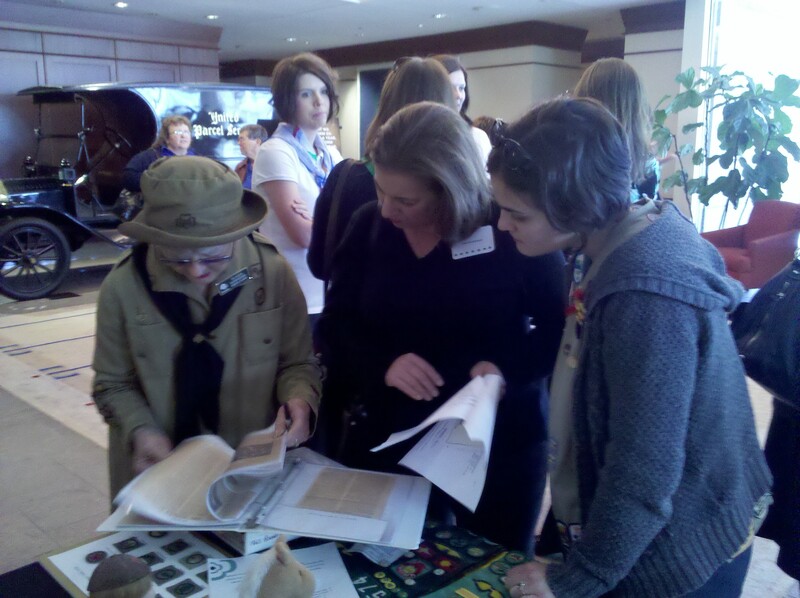 During this month we celebrate the value of Georgia’s historical records, share how they enrich our lives, and acknowledge the people who preserve and maintain them, such as those of us here on the Girl Scouts of Greater Atlanta History and Archives Committee! Juliette’s birthday, October 31st, is known as Founder’s Day. 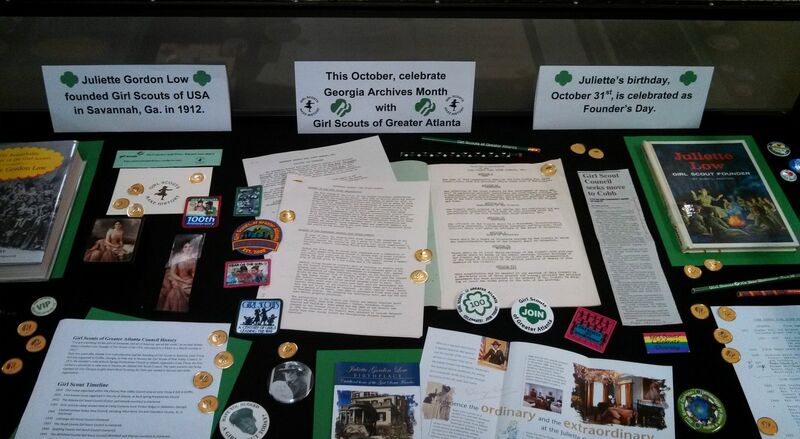 There is a display currently up at the Switzer Library’s (formerly Central Library) Georgia Room in Marietta, Georgia that celebrates Georgia Archives Month and Girl Scouts together! If you’re in the Marietta area, swing by and take a look! 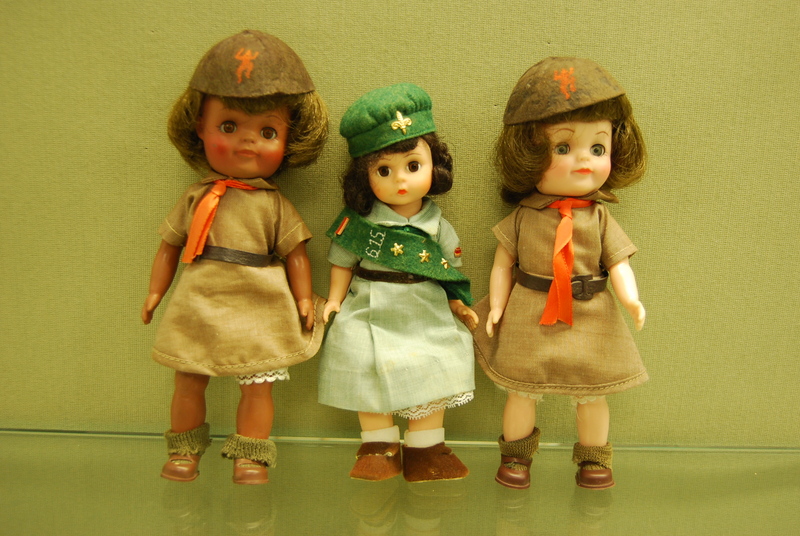 Learn a little about the history of Cobb County and Greater Atlanta Girl Scouting and see some of the items that the Georgia Room has in its collection. The display will be up until November 1st. *If you are interested in volunteering in the GSGATL Archives or donating any materials to us, please contact us at GirlScoutArchivesAtlanta@gmail.com! We always appreciate any help and can’t wait to hear from you! 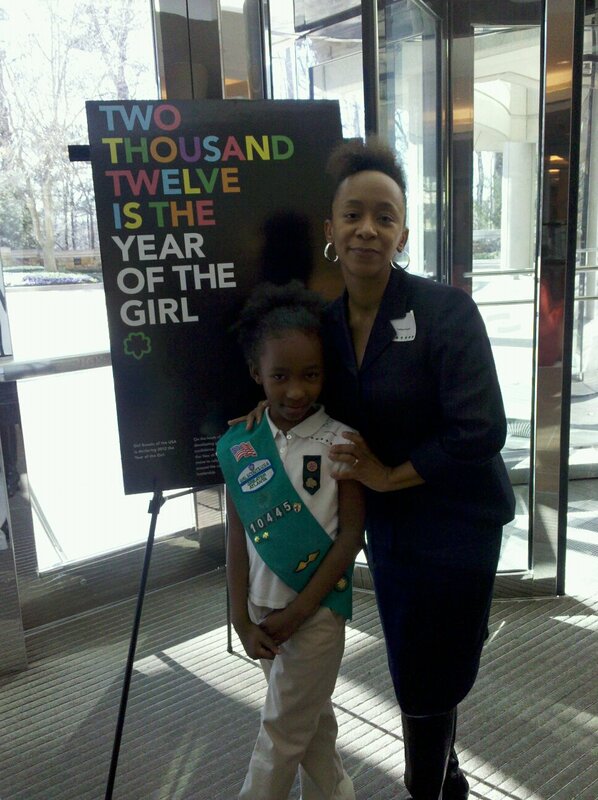 “Girl Scouts all over the world are connected by traditions, friendships and vision, but each Girl Scout council has its own history because of its culture and geography. The Girl Scouts of Southern Alabama is comprised of 30 counties: eight from Deep South, fifteen from South Central Alabama, and seven from Pine Valley, Concharty and Cottaquilla councils. We have a history of Mariner troops in our coastal areas, troops involved in state government in the Montgomery area and animal husbandry and agricultural activities in our rural areas. Unique to Mobile is the Junior Miss pageant and for many years troops have adopted Junior Misses. Alabama also has many rich archaeological sites around which encampments were held for 25 years. We are digging up our past through scrapbooks, photos and personal stories and are developing visuals that showcase our history. In addition to our council history, we are collecting items that have appeared over the years in the GSUSA equipment catalogs. 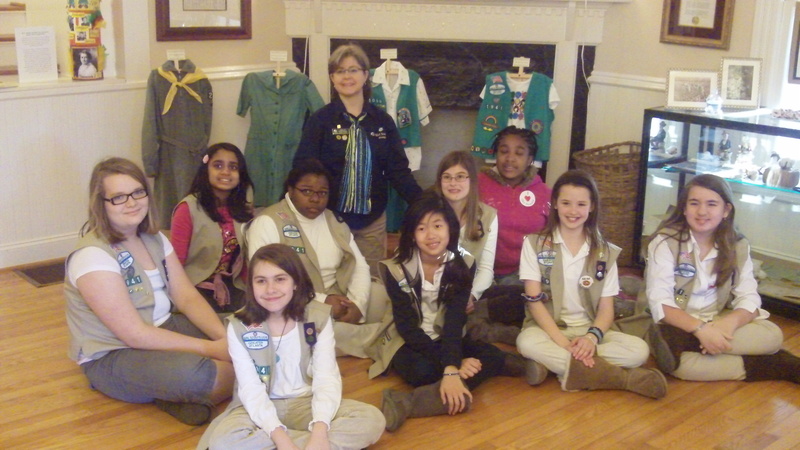 Our museum collection began with a major donation from the Girl Scouts of Greater Atlanta for which we are very grateful. We are using these items in exhibits, fashion shows of vintage uniforms, and shadowboxes that can be easily transported to various venues. Each shadowbox has a theme and includes vintage newspaper articles featuring Girl Scouts as well as Girl Scout awards and memorabilia related to the articles. These shadowboxes along with enlarged photos, mannequins in vintage uniforms, and Girl Scout memorabilia from our collection will be in an exhibit room at the Museum of Mobile opening on March 12th. We are looking forward to having programs for girls such as Victorian tea parties, signaling demonstrations, and other vintage badge activities as our fledgling museum develops. 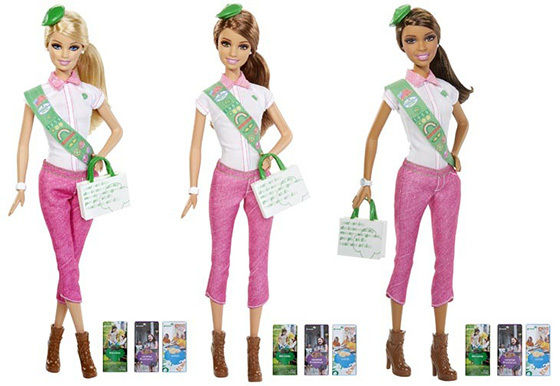 This anniversary year, a “Discovering Our 100-Year History” patch program was designed to help Girl Scouts celebrate the 100th anniversary of Girl Scouts of the U.S.A and to develop an appreciation of how their council became what it is today. The requirements fall under three categories: Girl Scouts of the U.S.A. history, Girl Scouts of Southern Alabama history, and a Girl Scout history-related service project. Additionally, a “Vintage” patch program was designed for girls to learn skills taken from Girl Scout badges from the past and to see how much life has changed over the last 100 years. Activities have been lifted from the Signaller badge, the Health Guardian Badge, the Homemaker badge and many others. 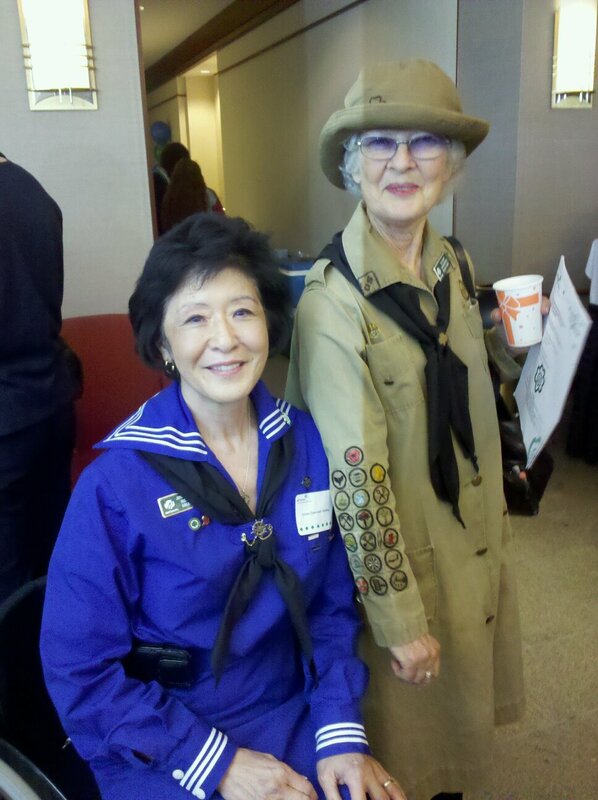 We are grateful to have such a knowledgeable and dedicated volunteer on our History/Archives Committee. If you are in the Mobile, Alabama, area, please take the time to go see this wonderful exhibit! 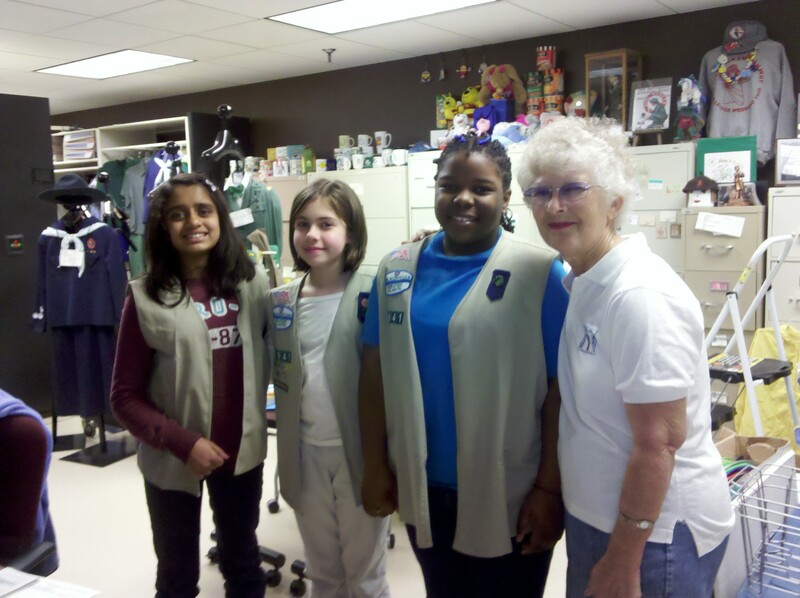 On Sunday, December 4, 2011, a few Cadette Girl Scouts from Duluth Troop 1941 visited the Archives of the Girl Scouts of Greater Atlanta. 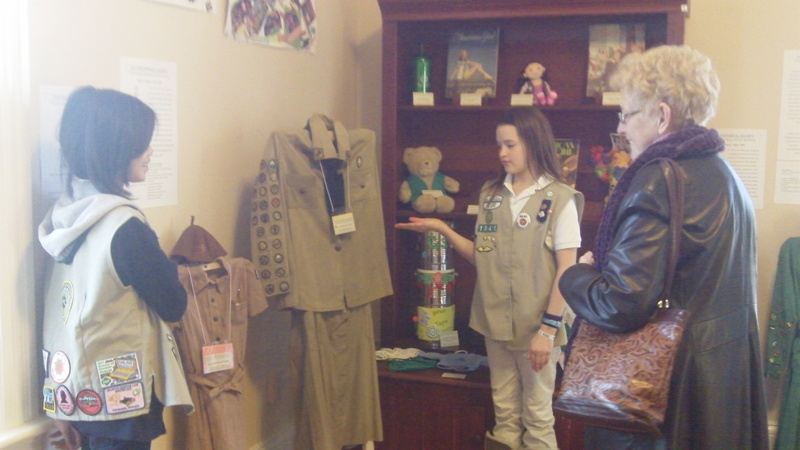 The troop is learning how to curate an exhibit as part of a service project in their community. They meet at the historic Strickland House in Duluth, Georgia, the home of the Duluth Historical Society. 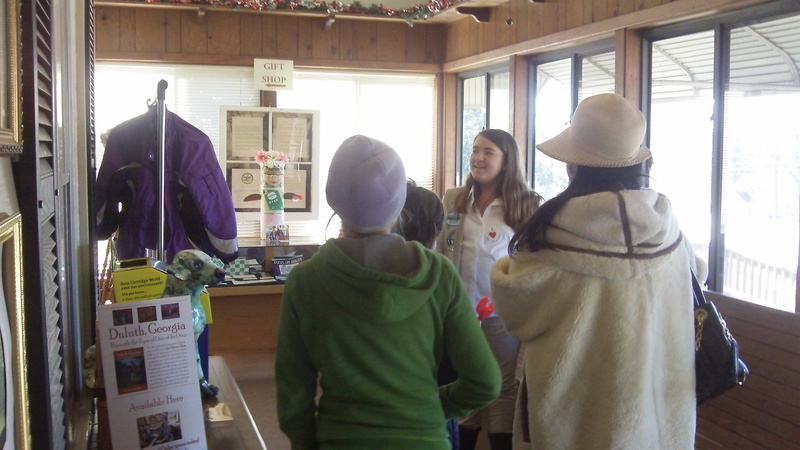 In exchange for meeting space, the girls of the troop perform regular service projects to help the house and the Society. In honor of the upcoming 100th anniversary of Girl Scouting, the girls wanted to create an exhibit to highlight the history of Girl Scouting in Duluth, Georgia, and Gwinnett County (where Duluth is located). 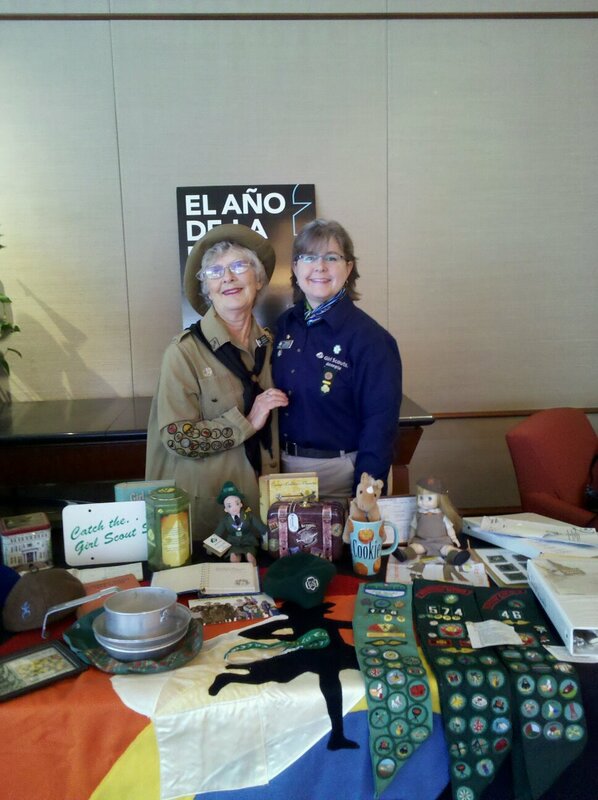 Sue Belden, Volunteer Archivist at the Girl Scouts of Greater Atlanta, met the girls to show them various artifacts that they might use in their exhibit. The girls were most interested in the vintage uniforms, and enjoyed listening to Sue explain the details of the insignia. They also viewed handbooks, scrapbooks, magazines, dolls, posters, pictures, and patches. The girls asked many questions about the collection, and settled on eleven items to borrow on loan for the Duluth Historical Society exhibit. 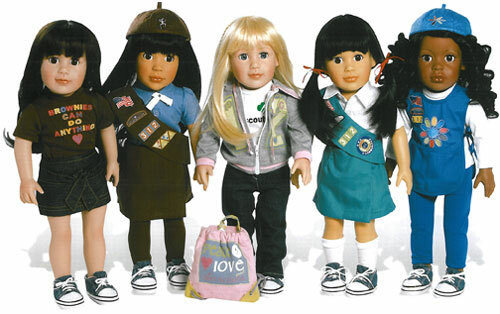 As part of the plans for the exhibit, the girls will be assembling at least 100 items to display, and include at least 100 facts about Girl Scouts. The other items in the exhibit will be collected from Duluth-area troops. The girls also want to collect more information from individual troops, so with the help of the History/Archives Committee, they have created a Troop History Questionnaire. You can help their work and the work of the Council Archives by downloading this form and documenting your troop’s history. The exhibit will be on display from February through April 2012, at the Strickland House and at the Duluth City Hall. Troop 1941 invites you to come and see it!